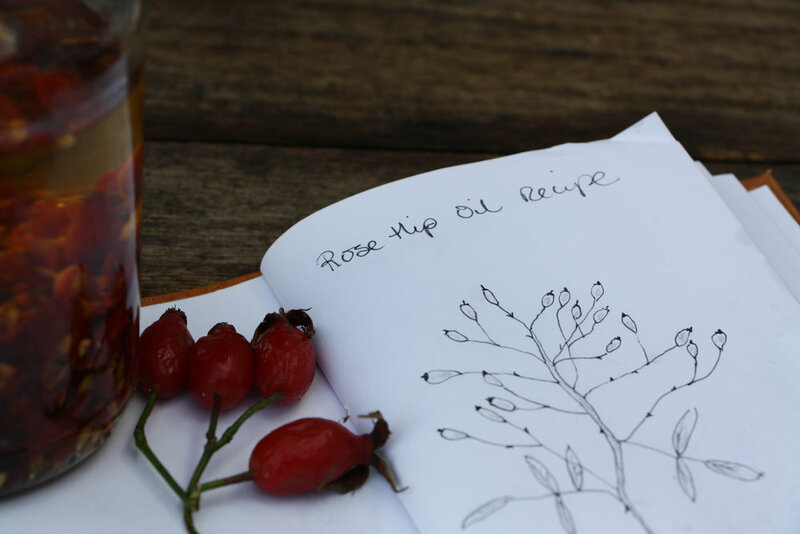 Rosehips are packed with Vitamins and antioxidants that are super special and kind for your skin. The colder months are always that much harsher to ours out in the cold so we thought a little pick me up would be just the ticket and right we were! We used Almond oil as the base for this recipe as it is naturally high in Vitamin E, which is a wonderful antioxidant, combating free radicals that cause damage and UV radiation. It is also rich in fatty acids, proteins, potassium and zinc plus many other vitamins so a good base on its own to keep your skin healthy before you even add the wonders of rosehips to it. Rosehips have everything that almond has in abundance, aswell as heaps of Vitamin C & A so these two together are great mates. The Vitamin C stimulates collagen production and Vitamin A improve the moisture level of your skin reducing fine lines and wrinkles, helping to reduce scarring and promote skin regeneration. Apply to the face once to twice a day as part of your daily routine and allow it to absorb in. Seal the jar and leave in a warm airing cupboard for one week. Store in a dark cupboard or in a dark bottle. 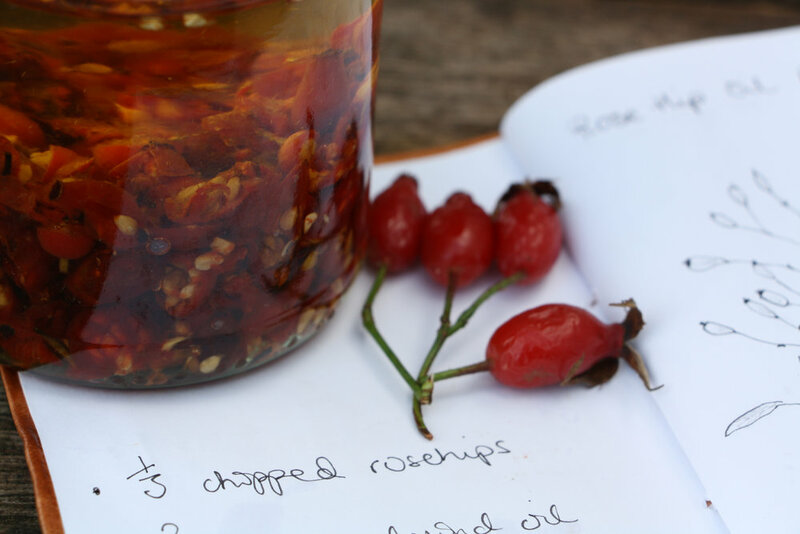 If you want to learn how to seek out this wild edible and others why not join us on one of our foraging courses, scour the seashore for sea weeds and sea vegetables and hunt amongst the hedgerows with us for hips, haws & more. On our courses we will be teaching our wild ways & sharing our knowledge with how to identify, harvest & prepare green goodies for the feasting. You will see for yourselves how wonderfully it is. See our calendar of events on our booking page or give us a shout to find out more about upcoming foraging events and courses, foraged feasts and wild food retreats.